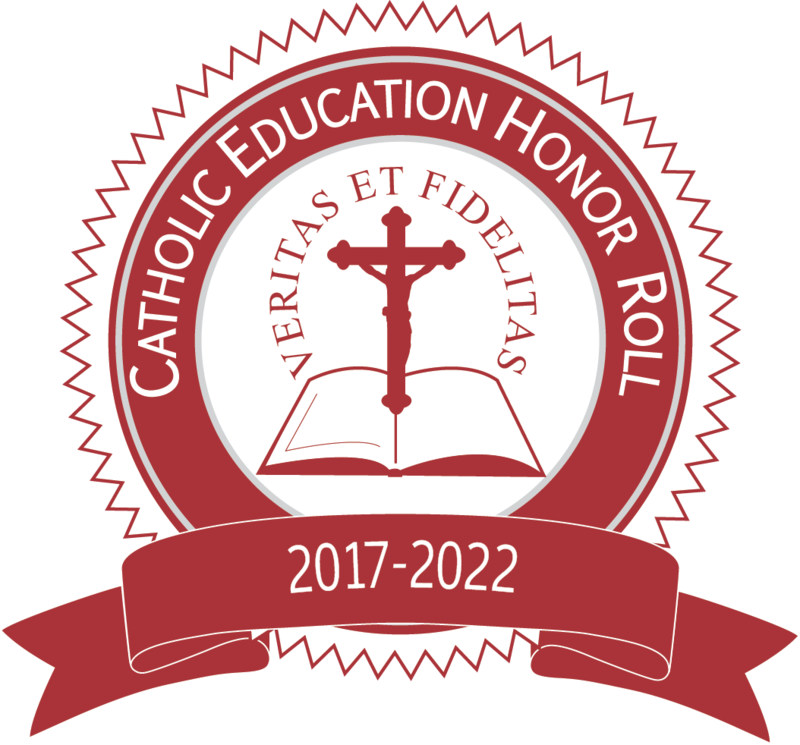 Mount Royal Academy has been recognized as a Catholic Education Honor Roll School. The national Honor Roll program is directed by the Cardinal Newman Society and has recognized over 300 high-performing Catholic high schools nationwide since the program’s inception in 2004. MRA engaged in a thorough internal and external review of its comprehensive program offerings before being awarded this status. It has received specific recognition for its strong integration of Catholic identity throughout its efforts, including the integrity of its mission, and the strength of its community and rich spiritual life. The Honor Roll also recognized the school’s efforts at integral formation of the minds, bodies, and spirits of its students as well as its comprehensive academic program which seeks to instill a Christian vision of the world and human wisdom and culture. Catholic Identity in Education: Principles articulates elements the Church expects to find in all Catholic schools and which distinguish them from other schools. The principles are derived from Church documents related to education, including the documents of Vatican II, documents from the Vatican Congregation for Catholic Education, and the writings of various Popes. The five principles are: Inspired by Divine Mission; Models Christian Communion; Encounters Christ in Prayer, Scripture, and Sacraments; Integrally Forms the Human Person and Imparts a Christian Understanding of the World. Each principle includes a summary which is comprehensive, yet concise, and reflects the language found in the Church documents.